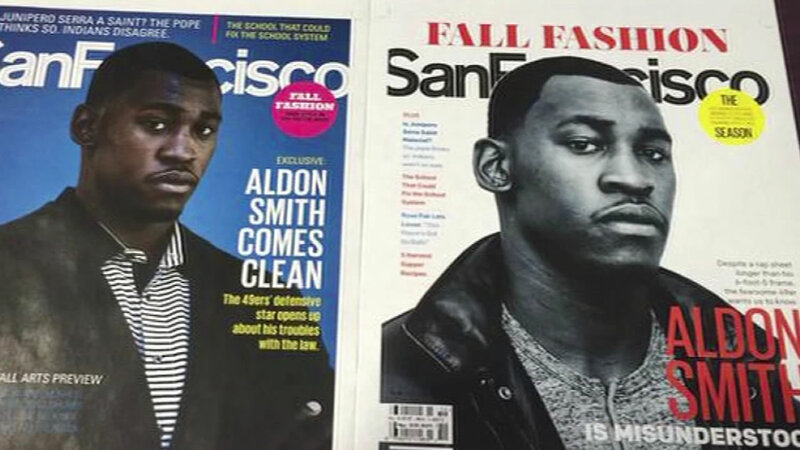 SAN FRANCISCO (KGO) -- The September issue of San Francisco magazine was to have Aldon Smith on the cover with the headline: "Aldon Smith is misunderstood". The magazine's editor in chief tweeted a picture Friday. The article has Smith saying he ditched his party lifestyle for a one-bedroom condo and more time with his two-year-old son. Smith was also asked if he considers himself an alcoholic. The former 49er said no and that he just likes to have a good time.